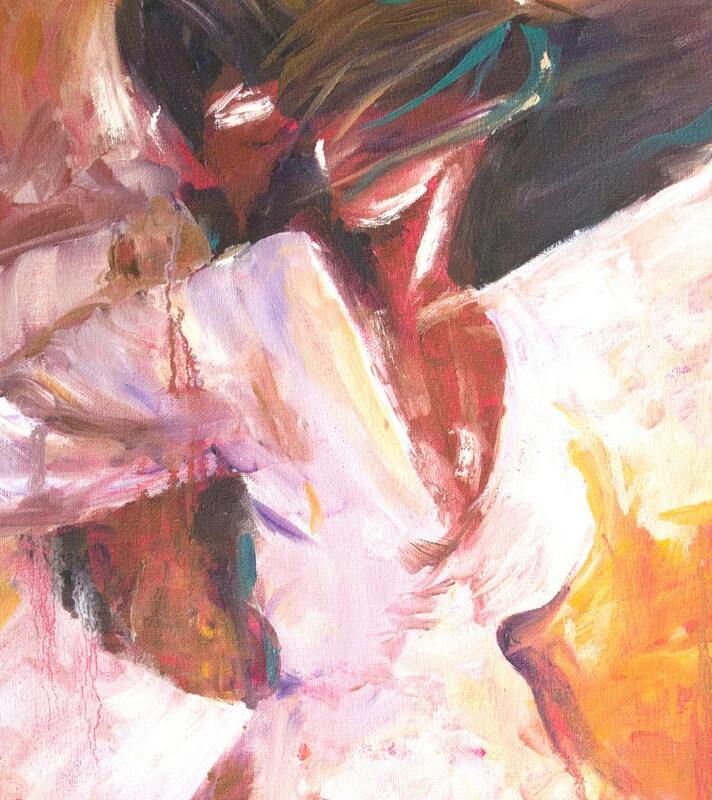 One of my most popular paintings, "Dancing Passion" was the first painting I did in a series of dancing couples I worked on - all displaying their own type of intimacy on the dance floor. You can really get a sense of how they are feeling! (The original painting has been sold). 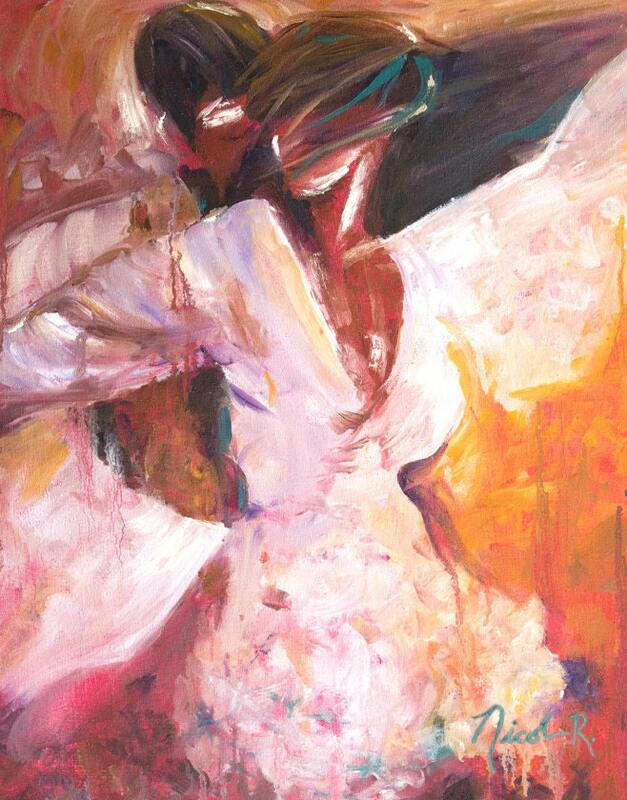 This listing is for a large art print of an original oil painting of mine. It is printed on heavyweight paper. Image size is approx. 11.1" X 14.1" plus a white border for framing. Your print will be signed! Print will ship in a sturdy cardboard mailing tube. (Water mark will not be on your print).